Paul Bigsby started making guitars in the late '40s, and by the early '60s demand for his hugely innovative tremolo systems had far outpaced demand for his instruments. The B7 is one of the original popular designs and is intended for curved top hollow and semi-hollowbody guitars, though will function with a number of other models as well. 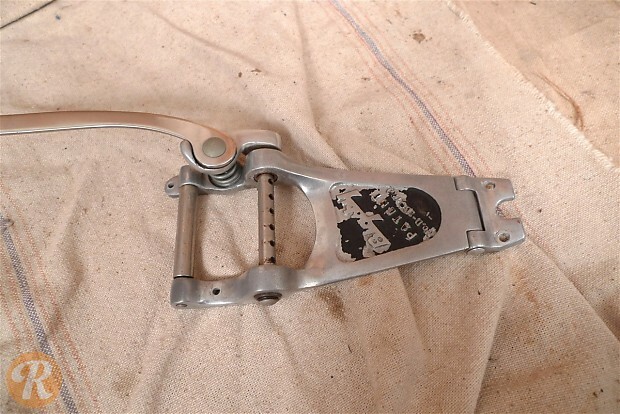 Paul Bigsby sold the Bigsby designs and inventory to former Gibson chief Ted McCarthy in 1966. McCarthy sold the company to Gretsch in 1999.